President / CEO, Charles F. Day & Associates L.L.C. Dr. Charles (Chuck) Day is the founder and owner of Charles F. Day & Associates LLC. Chuck attended Purdue University, where he graduated as a Distinguished Military Graduate with a Bachelor of Science degree in management. Upon degree completion, he entered active duty and served as an artillery officer with various progressive battery and battalion assignments. He served in the Gulf War and was awarded the Bronze Star Medal. Shortly after, he was assigned to the Army Acquisition Corps (AAC) as a research and development manager and served as the Weapons Systems Manager for artillery systems, the largest being an acquisition program with a total life-cycle value of $2.3 billion. He is a graduate of the Field Artillery Officer Basic Course, the Infantry Officer Advanced Course, the Command and General Staff College as well as at the Army Logistics Management College. After leaving active duty, Dr. Day served in various guard and reserve staff assignments, culminating in an Army Reserve assignment as a DA Systems Coordinator in the office of the Assistant Secretary of the Army for Acquisitions, Logistics, and Technology. He retired from the military in 2004. Chuck received a Masters of Business Administration from St. Ambrose University in Davenport, Iowa, and a Doctor of Business Administration from Nova Southeastern University in Fort Lauderdale, Florida. Chuck has been an adjunct faculty member to the U.S. Army Management Engineering College at Rock Island Arsenal as well as at St. Ambrose University’s MBA program. He has completed the Harvard Business School flagship Owner/President Executive Education program. This program brings business owners from around the globe together for intensive 3-week sessions for three consecutive years. 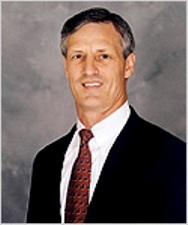 Chuck holds membership in the Academy of Management, and the National HUBZone Council. He has presented and published on organizational development and entrepreneurship topics. His academic honors include: Hoosier Scholar, Phi Eta Sigma National Honor Society, and the Sigma Beta Delta International Honor Society in Business Administration. His blend of experience in Army Acquisitions, logistics management, academia, government contracting, and as a business owner give him a unique ability to bridge academic theory with practical application of management tools and processes.